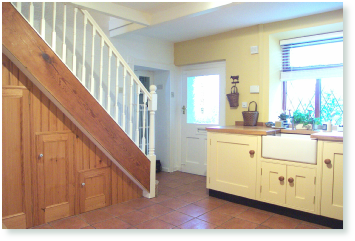 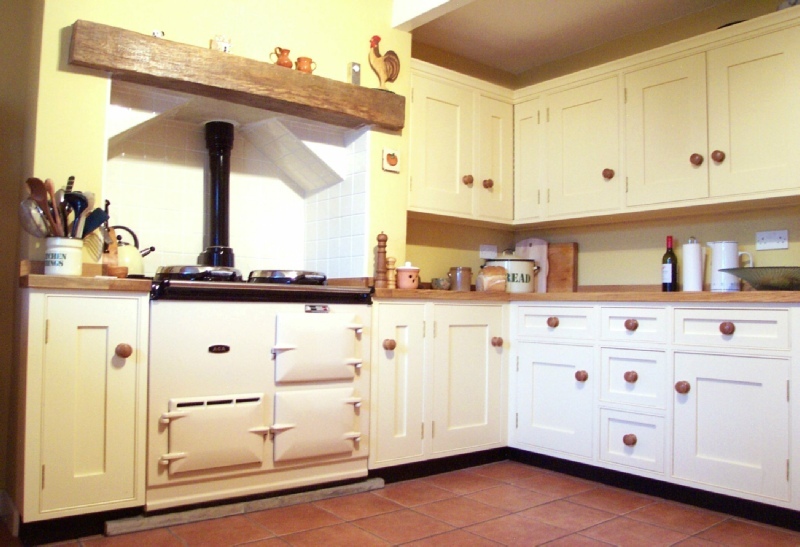 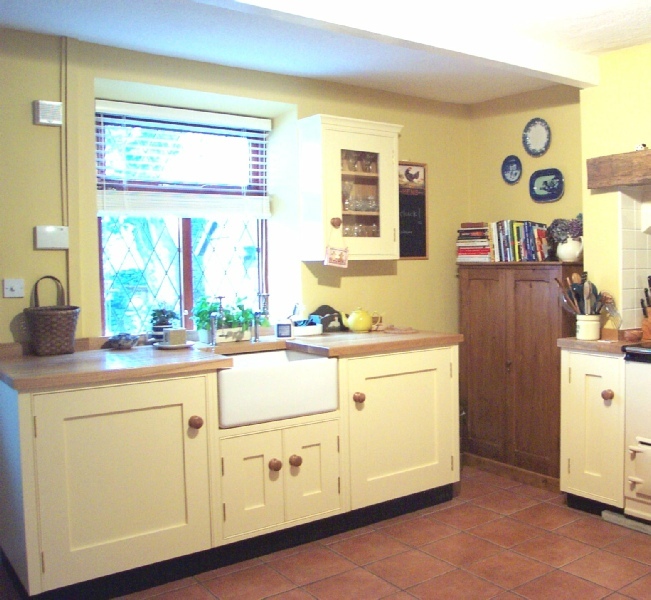 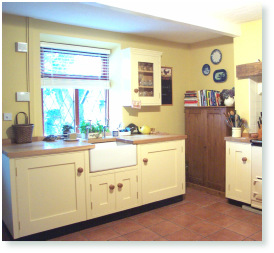 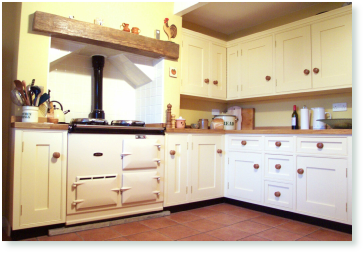 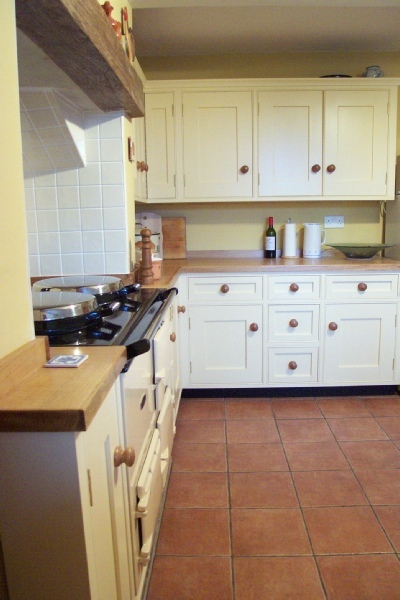 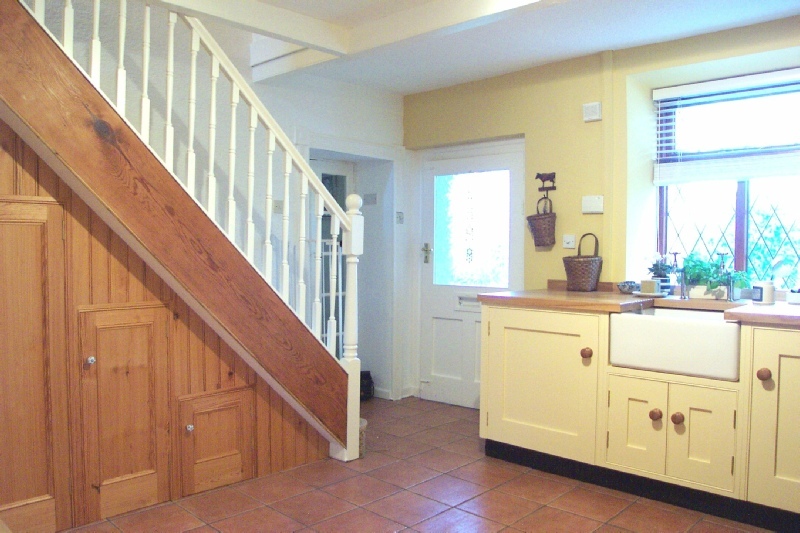 The solid Oak worktops and knobs add to the warmth of this classic cottage kitchen. 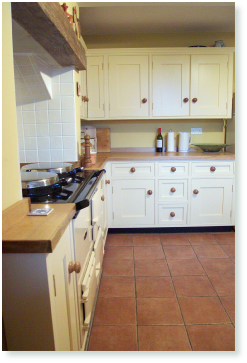 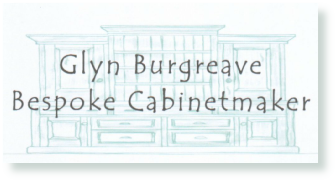 The belfast sink cabinet houses the dishwasher and washing machine. 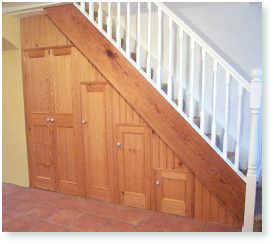 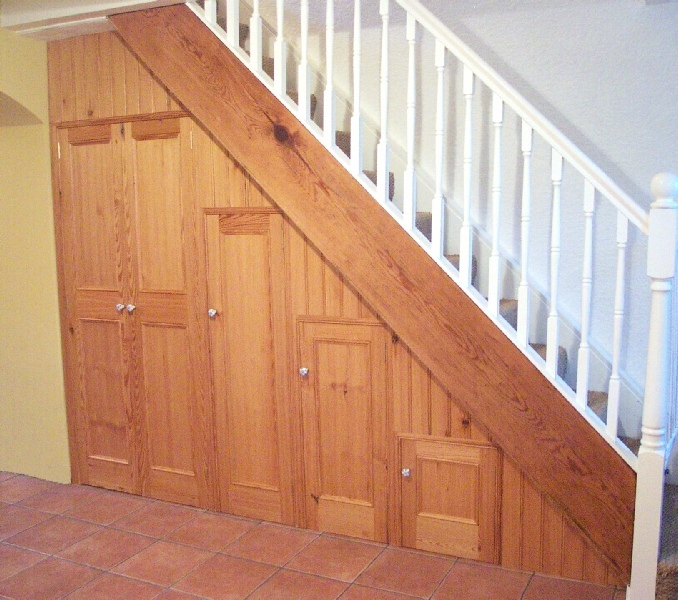 The under-stairs cupboard doors are made from re-claimed pitch pine and natural as a contrast to the painted cabinets.